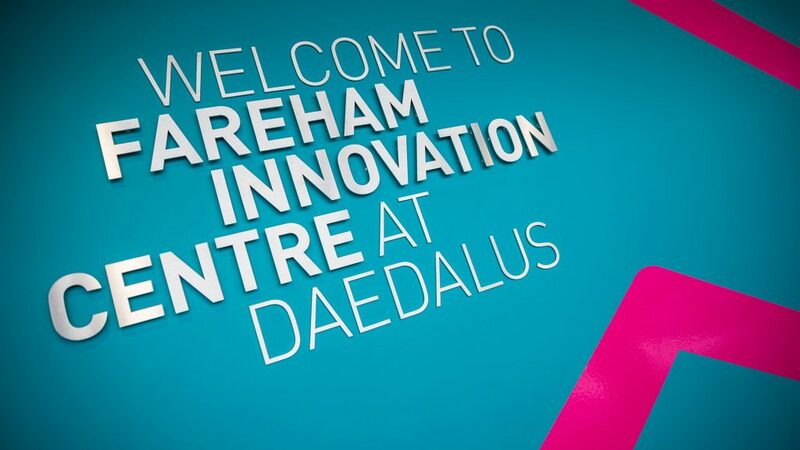 Our first introduction to Oxford Innovation was their centre in Fareham – part of the larger (ex-HMS) Daedalus site and intended to maintain its aviation, marine and engineering reputation. 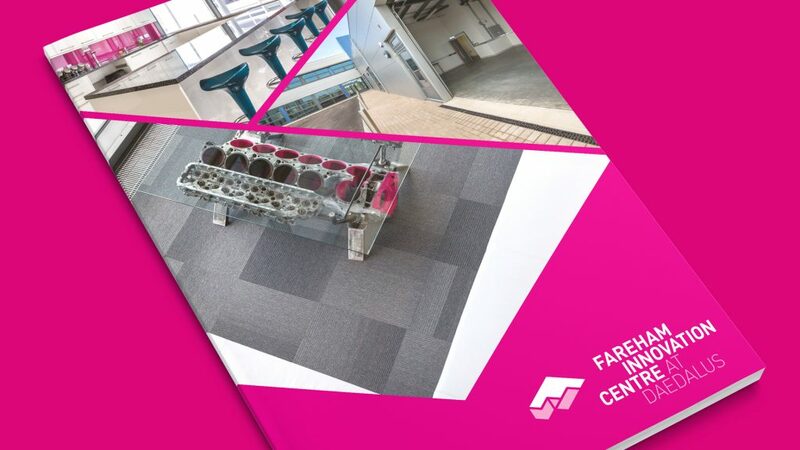 We were invited to tour the building ahead of its completion and review the architectural plans… happily, and as a function of its multiple workshops and studios, the building is almost in the shape of an ‘F’. 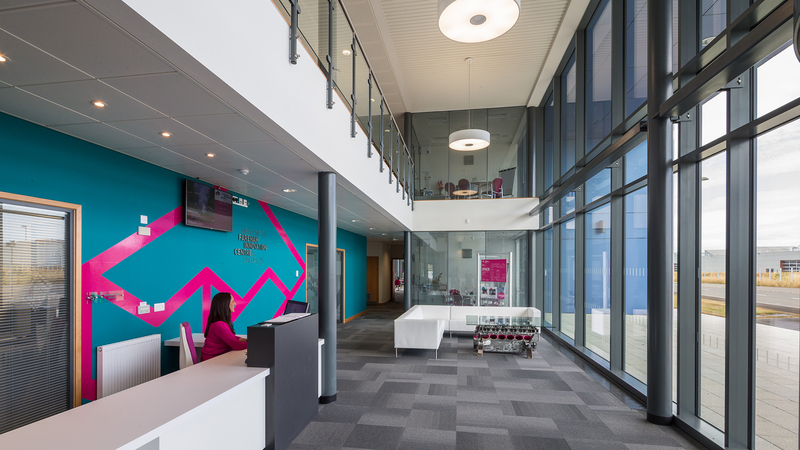 Our resulting identity rounded that out with a wing-shaped top, a wave-like ripple and an isometric form, which added three unique shapes to provide the additional elements used for the centre’s three meeting rooms. 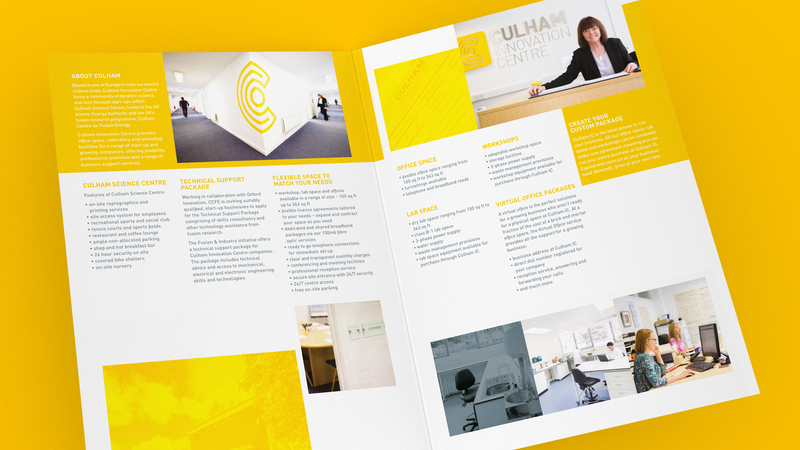 We didn’t stop there: the project extended to print collateral, super-graphics and wayfinding. Not a bad result from a three-way pitch. 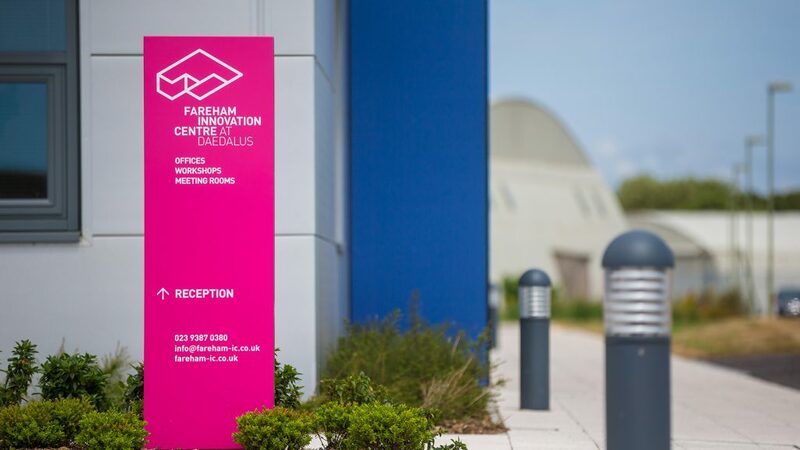 Our relationship with Oxford Innovation continued with an additional identity for their Culham venue – originally blue and grey, the brief was to brighten this up a little. We thought we might have taken it too far but the yellow was warmly received! 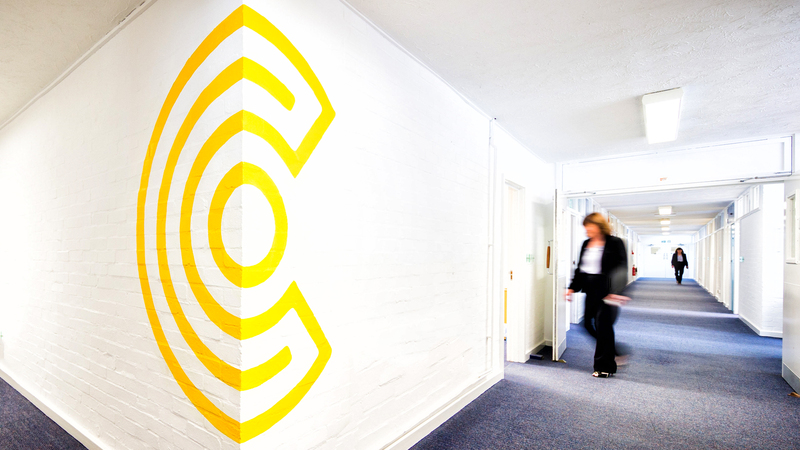 The identity itself is a ‘C’ and bent ‘i’ with the dot giving the ‘C’ something to wrap around!